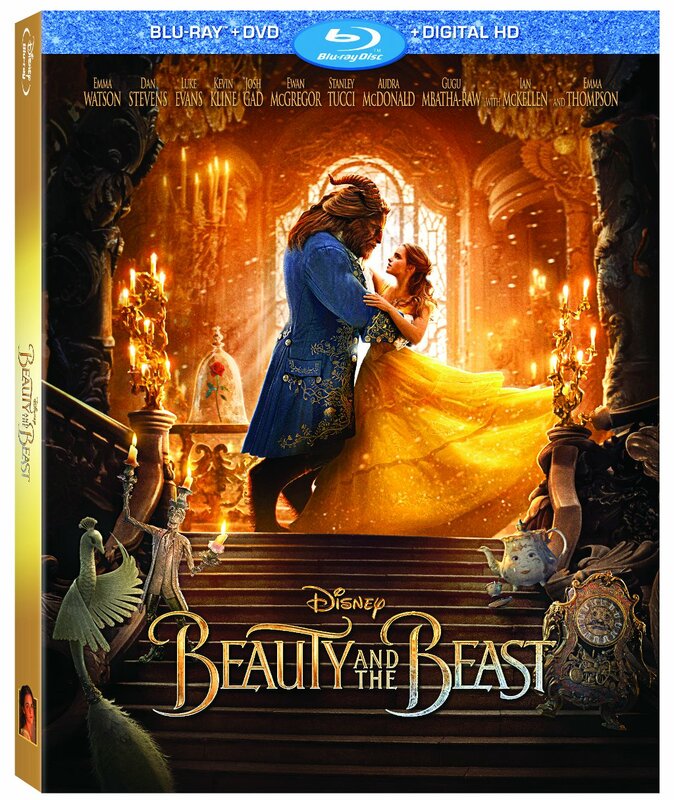 Beauty And The Beast Blu-Ray Review - Are You Screening? Disney‘s live-action Beauty and the Beast is a movie that was a safe bet under just about any circumstances, but it actually delivered, and for many it did so well beyond expectations. Not only did it provide the story everyone wanted to relive, but it added some backstory and further character development that brought the story to new levels of depth. Best of all, it transformed some of the characters, while letting them still live within the same frame. Maurice (Kevin Kline), for example, isn’t the simple, silly kook of the animated version, but a legitimate character with a story that explains his attitude and actions. It becomes, as I said in my original review (see full review here), something like an attempt to tell the real original, 1740 story (except that it’s very different), thus becoming the temporal anomaly film that was toned down to become a children’s version. While there were millions of fans eagerly anticipating the release, there were just as many skeptics who thought this was just a way for Disney to grab some cash and keep the characters relevant to make sure sales at their parks would get a bump. It may not have been a move that had any way to hurt Disney’s bottom line in a wide variety of ways, but there’s no denying that this was everything you could have hoped for – except for that “Be Our Guest” Willy Wonka nightmare. The film managed to restore and/or reinvigorate people’s belief that Disney and “Magic” were synonymous, and its stars delivered in ways that even the most hopeful probably couldn’t have expected. Emma Watson was amazing, and perhaps growing up in a magical world didn’t hurt her chances, and Luke Evans and Josh Gad managed to make the roles their own. Gad, in fact, was in the Kline camp of turning a character that was utterly “cartoony” into something with flesh and blood. Overall, the film is easily in the running when award season rolls around, and not just for being a likely contender among the year’s best, but possibly for breaking nomination records. As you might expect, the Blu-Ray is loaded with hours and hours of treats aimed at fans of all ages. The full list is really too much to cover. Below we will have a sampling of some images and videos from the bonus features, but be sure to head over to the image tab above to get even more previews of the bonus features available. Before you even get to the bonus features of the film, you’ve got some options just in watching the film. You’ve got the original theatrical cut, the premiere cut with overture, and a musical version of the film with sing-along. The bonuses have everything from the standard special features spectrum, and then some. You get a lot of behind-the-scenes efforts, featurettes with the filmmakers and cast, a table read, an in-depth look at the sets and costumes, and the technologial surprises that went into creating the film. Plus, 10+ minutes of deleted scenes and music videos. Enchanted Table Read – Fans don’t get enough access to table reads, and they are the sort of thing that are real treats for fans. There’s something that is its own kind of magic to see actors going through the process of figuring out how to do things, and though it doesn’t exactly offer much visually, usually, it’s a way to experience the process that releases shouldn’t ignore. Of course, this time it’s a more magical time, complete with singing, set pieces, live music, and more. A Beauty of a Tale – This is a solid bonus that details the creative process involved in making the transition from animated to live-action film. This might have been something of a throw away, but you get a fair amount of insight into the theory behind the effort, including ideas on the extent to which the two should match up. We all wanted to see that ‘transition’ scene at the end, which instantly calls the animated version directly to mind, but how much of that sort of thing do we really want? The Women Behind Beauty and the Beast – Emma Watson hosts something of a chat with several of the women involved in many of the aspects of production. This one could have managed a little bit more meat, but these are wonderful little bites that deliver just a little bit more insight into the world of film production. Making a Moment with Celine Dion – Well, if you’re a fan of Celine Dion, this one might be somewhat interesting. She shares her thoughts on what it’s like to sing “How Does a Moment Last Forever,” but she is one of the film’s weak points generally, and even among fans, listening to her talk about anything is not exactly something you hear anyone begging for. 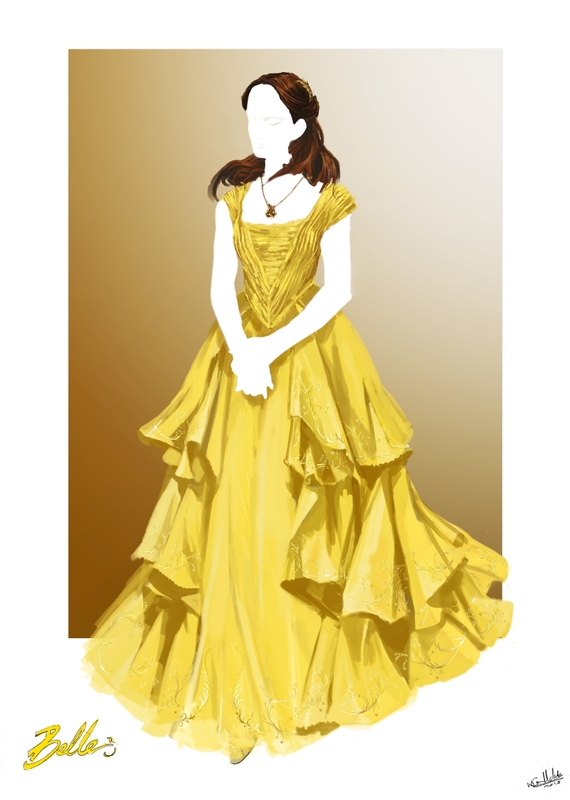 Belle – The cast and crew talk about shooting the scene, and interestingly, not just why it’s memorable, but the effort to specifically make it a focal point. Gaston – Get in on rehearsals and filming of this scene. This behind-the-scenes look is one of the best parts of this particular feature. 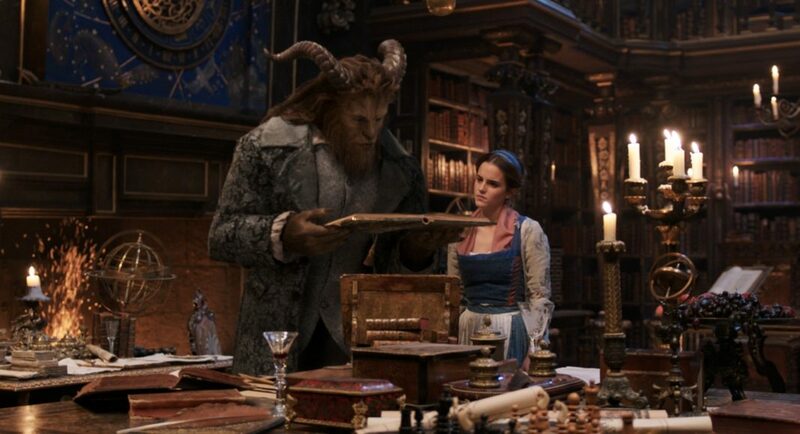 Beauty and the Beast – On the set with the filming of this scene, and it’s a wildly fun piece. If you’ve never been on the set of a film, now you get a glimpse of what that’s really like. But, with a lot more dancing. Deleted Scenes – Director Bill Condon presents the scenes that ended up on the cutting-room floor, and gives some intoduction, including a short discussion on the decisions involved. They should all be in the film. Finally, the Blu-Ray includes all sorts of ways to experience the soundtrack, above and beyond the ‘Sing-A-Long’ version of the film.